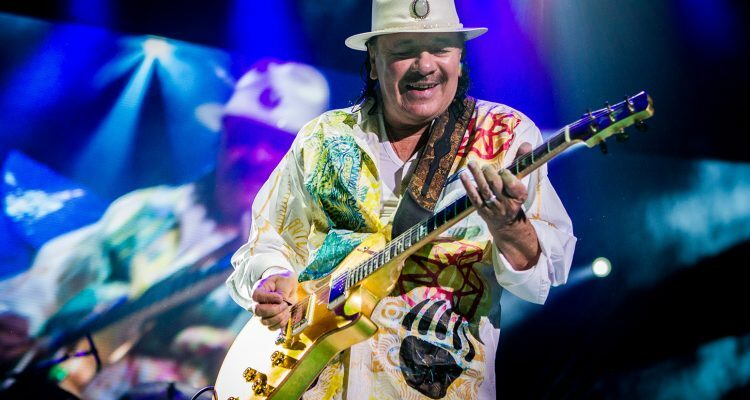 On January 16th, Carlos Santana announced his 29-date North American “Supernatural Now” tour. The trek will commemorate two momentous occasions in his life – the 20th anniversary of his Grammy-award winning album, Supernatural, and the 50th anniversary of his historic performance at Woodstock. Stops along the route include opening night on June 22nd in Phoenix, AZ., as well as dates in Dallas, TX, Chicago, Toronto and more. Tickets will go on sale to the general public beginning January 25th via Live Nation. Santana and his band, which features his wife, Cindy Blackman Santana, on the drums, will be joined by fellow Californian rock band The Doobie Brothers. Although the Rock and Roll Hall of Famer will play classics such as “Smooth” and “Maria Maria,” he is expected to perform cuts from his upcoming EP In Search of Mona Lisa, to be released on January 25th. See the full list of dates and locations of shows below.